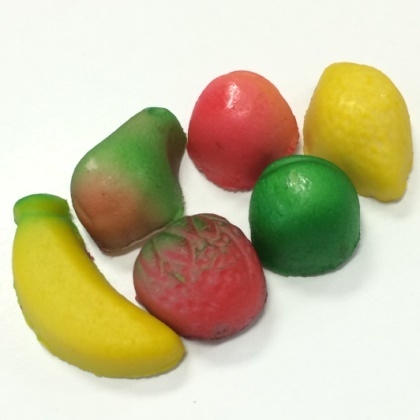 Delectable almond paste candy in a variety of fruit shapes. Made in USA. Kosher Pareve. 7 pieces for approx. 3 ounces.